Yoav Alkalay heads intellectual property at Amdocs Ltd and is an experienced patent attorney, with expertise in many aspects relating to patents, trademarks and the development of valuable IP portfolios, both as an external counsel and a senior in-house patent professional. Mr Alkalay’s approach to IP management is business-centric, with the goal of maximising the monetary value of IP portfolios through strategically developing IP assets – a goal that can be applied to a company of any size with intellectual property. With revenues of $3.9 billion (2017), Amdocs (NASDAQ: DOX) is a leading software and services provider to the world’s most successful communications and media companies, with customers in over 85 countries. Mr Alkalay is responsible for Amdocs’s patent and trademark strategies, planning IP programmes, addressing global portfolio considerations, leading IP due diligence projects for M&A deals, handling open source and IP contractual matters and developing internal procedures to foster innovation. Under Mr Alkalay’s leadership, Amdocs has been listed among the top 1000 US assignees for the past three years. 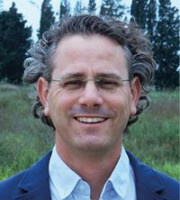 Mr Alkalay is active in the IP community, including presenting at, assisting or managing leading IP conferences (eg, speaking at the IP Law Summit Europe 2017 in Montreux, Switzerland and co-chairing the 2018 IP Best Practices conference in Israel) and participating in roundtable meetings with the Israeli patent registrar. He occasionally lectures in universities and other forums. Additional positions held by Mr Alkalay before joining Amdocs include senior legal roles at IBM and in private practice with a focus on patent law and intellectual property. Examples of his responsibilities ranged from managing the intersection of antitrust, HR and intellectual property; negotiating with public and private companies, including drafting and strategising with cross-licensing, patent assignments and commercial contracts; advising legal and engineering groups on global IP policy; implementing open-source licences and inter-company policies; supervising large IP portfolios; overseeing litigation for IP-related actions; facilitating patent harvesting, patent development and patent mining workshops; and drafting and prosecuting patents.